Happy Monday everyone! Or unhappy Monday depending on your view point haha. If it's unhappy Monday, hopefully the swatches I have today will make it a little better. 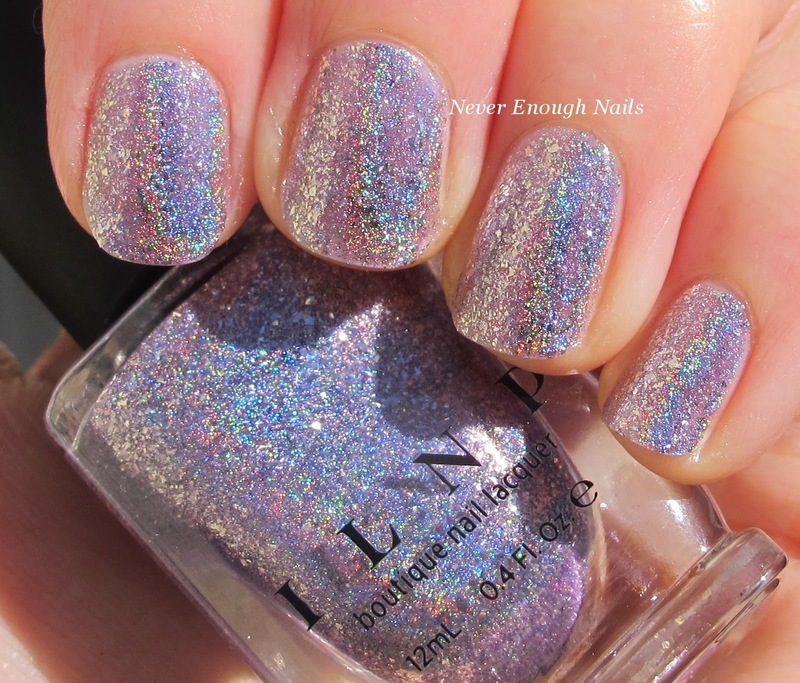 This stunning holo/flakie festival of loveliness is I Love Nail Polish Happily Ever After. 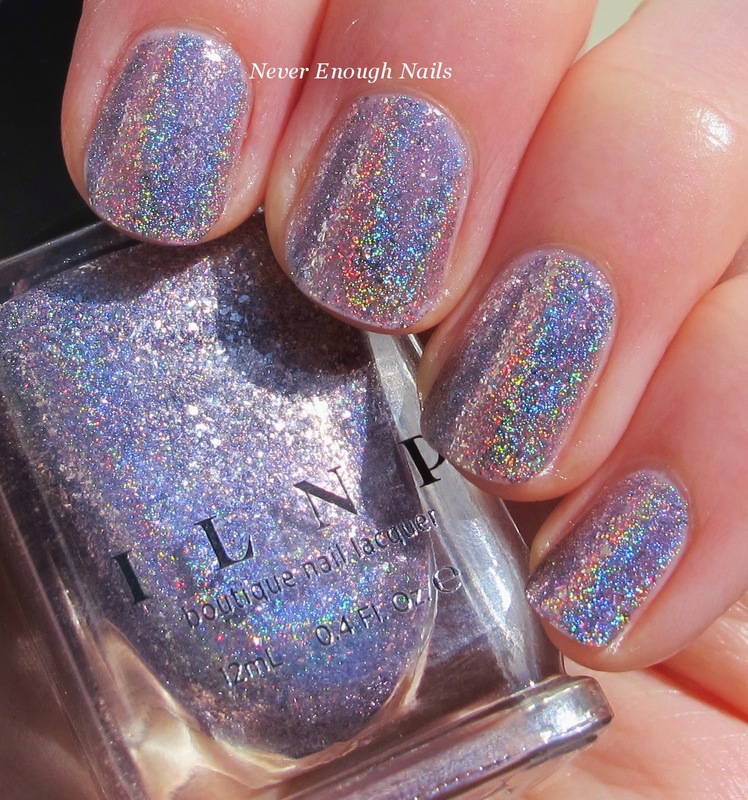 Happily Ever After is a silvery lavender with silver flakes and linear holographic pigment. The linear holographic flame is CRAZY intense outside! I wasn't expecting it to be so holo, but it is for sure. Inside, you can really see all of the pretty silver flakes in the lavender base (see the picture below). I also could see the holo inside too, just not in the dimmest lighting. I love the picture above because you can see the crazy holo, but around the edges you can see the flakes too, it's neat! This is three coats of Happily Ever After. The first coat was sheer, but by the second coat it was nearly opaque. I did a third for good measure and the opacity was perfect. It was extremely easy to apply- I didn't do any clean up here. The flakes are flat and smooth with out any top coat (although I did use a layer in these pictures). I am preeeetttty much obsessed with Happily Ever After. It is a magnificent work of art. I got this during the pre-order for the ILNP Spring 2015 collection and it's not yet available on ILNP.com. However, the spring collection is going to be released soon, so keep an eye out!